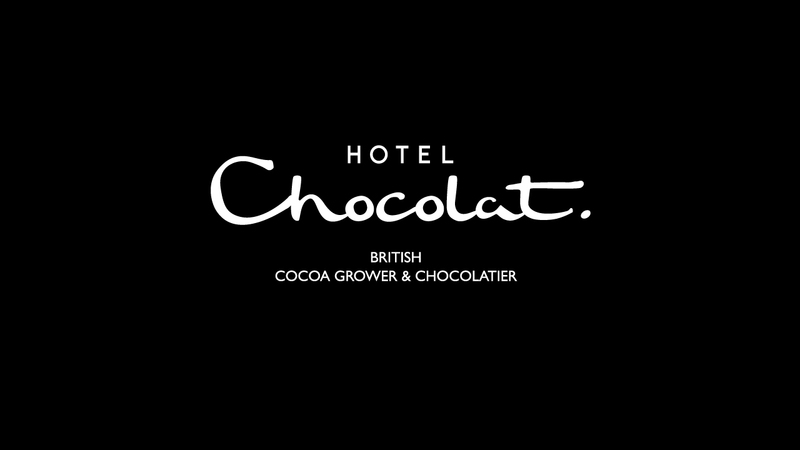 Being locked in a shop after hours might seem like the start to a horror movie, but not when the shop is Hotel Chocolat. 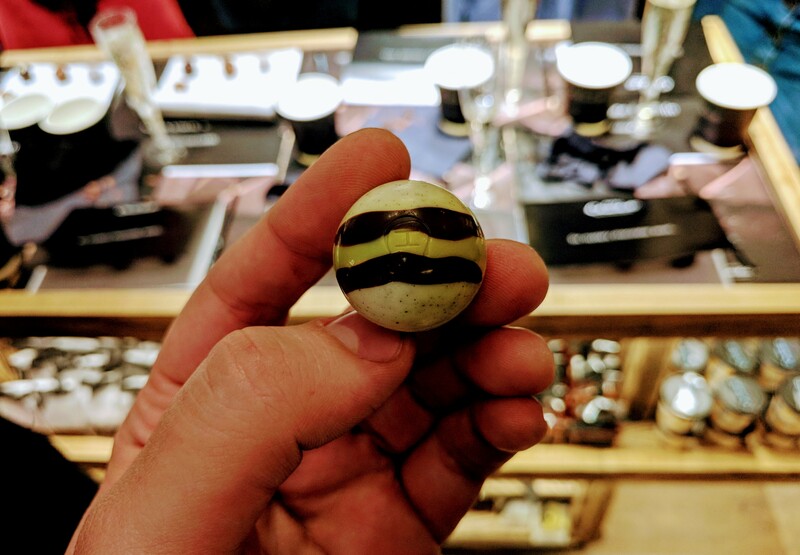 If you or your date love chocolate (honestly, who doesn’t), then the Hotel Chocolat lock-in is the ideal date night idea that will satisfy any sweet tooth. 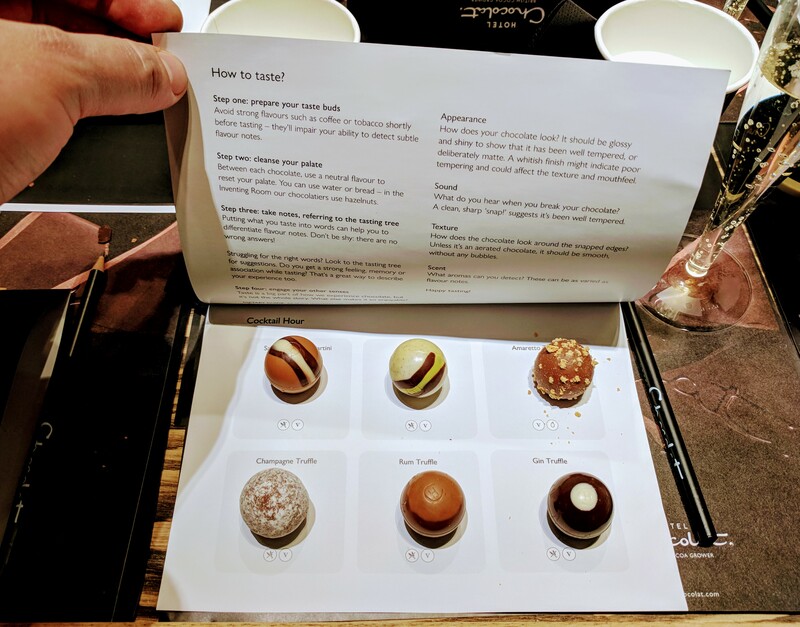 The experience is held in Hotel Chocolat shops all over London and a few outside the capital, we selected the Spitalfields store on Brushfields Street. 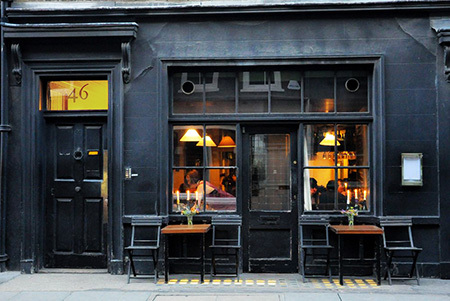 This shop is in a great location and as the experience doesn’t start until 7.15pm you can begin the night with some happy hour drinks close by in speakeasy, The Mayor of Scaredy Cat Town, or there’s plenty of dinner options, in and around Spitalfields Market. 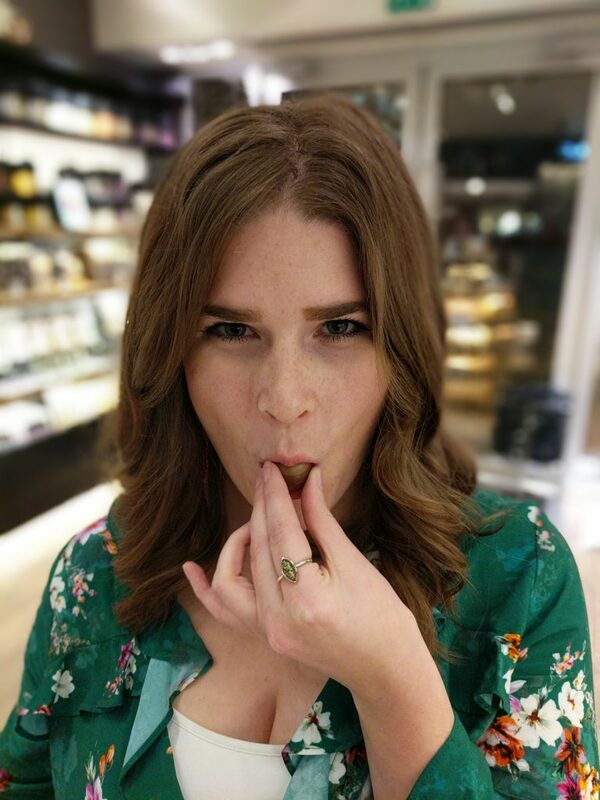 The experience starts with a glass of prosecco on arrival and an introduction from shop staff detailing the history of the company, where the chocolate is from, sustainable business practices and an overview on what you’ll be sampling that night. With a capped attendance, numbers are limited to just 10 per event making it an intimate evening. We’d also suggest it as a good option for a double date. At the end of the evening, a mystery envelope is passed to everyone which gives you a little something extra to sweeten the deal, such as a free hot chocolate, gift or money off voucher. Our favourite was the card which entitles you to £10 off anything you purchase on the night. 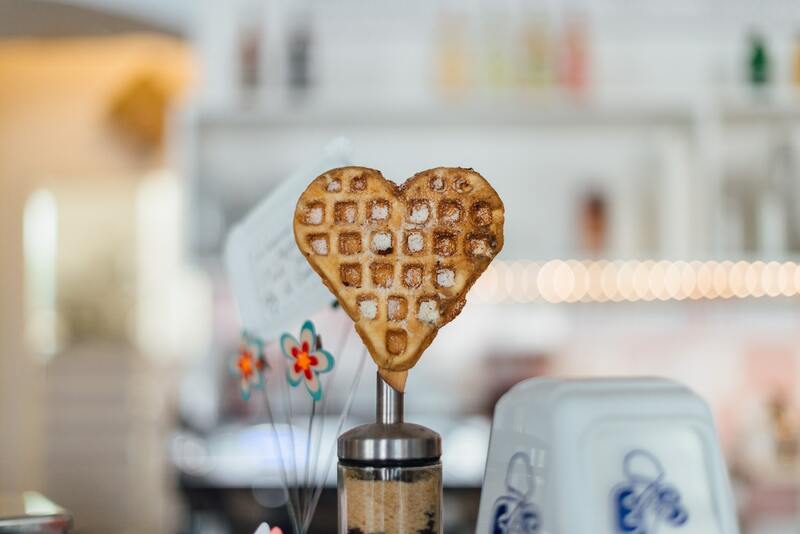 You’re also given a loyalty card, so if you go to another event you can accumulate stamps to use for bigger and better experiences, such as the bean to bar experience, where you make a chocolate bar from scratch. Keep your eyes peeled for any reduced chocolate on offer to maximise your night. I purchased a massive slab of chocolate, chocolate balls and Easter bunnies all for only £7.48 (including all the discounts), and my date picked up three selectors and some Easter bunnies for only £0.59! You can’t feel guilty about that! In all, this was a great night out, easy on the wallet, and guaranteed to keep things sweet with you and your misses. Lend me some sugar, what do you think of this for a date night idea? Tell us with the hashtag #LDGDates.